Gluten Free Key Lime Biscuits & Love with Food by G-Free Foodie Box Giveaway! These sweet Gluten-Free Key Lime Sweet Biscuits were inspired by my February Love with Food by G-Free Foodie Box. 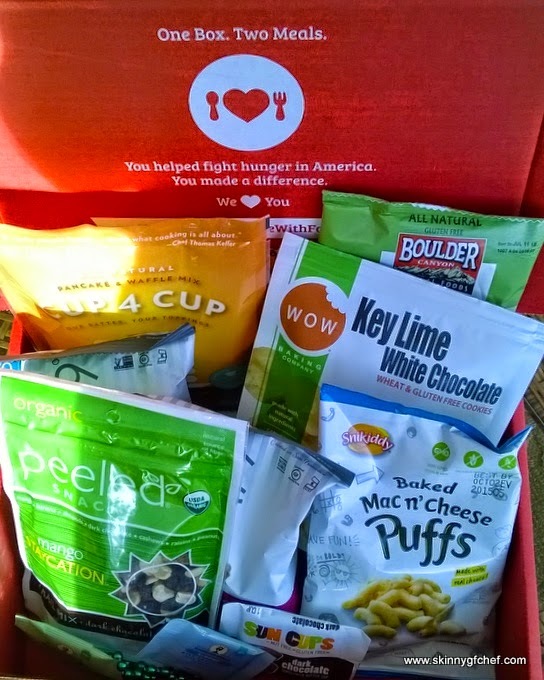 I had a ball trying all of the delicious and healthy products, but I was blown away by the Wow Baking Company Key Lime White Chocolate gluten free cookies and that the box included Cup 4 Cup flour mix. The cookies were so good that I had to try my hand at making something similar. I used the Cup 4 Cup mix and they came out great! Perfect with a cup of tea, they are lightly sweet and tangy. 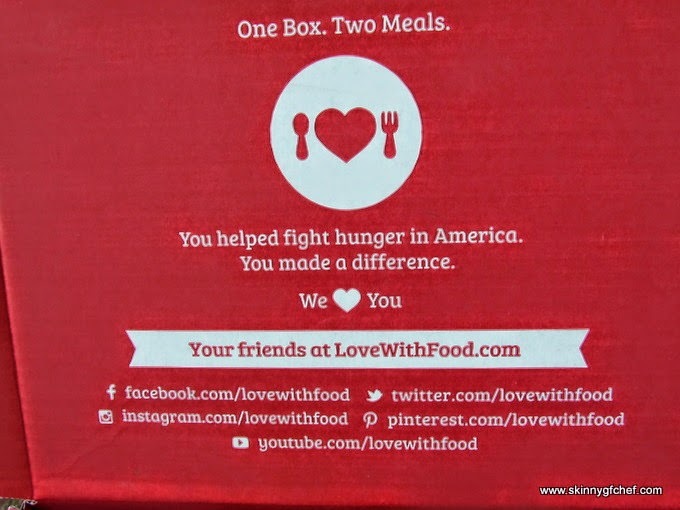 Come enter to win a Love with Food by G-Free Foodie Box of your own! #sponsored product review. My Mardi Gras Love with Food Gluten Free box arrived with beads and packed with goodies galore. I was so impressed that not only are all of the snacks certified gluten-free, but most are non-GMO too! 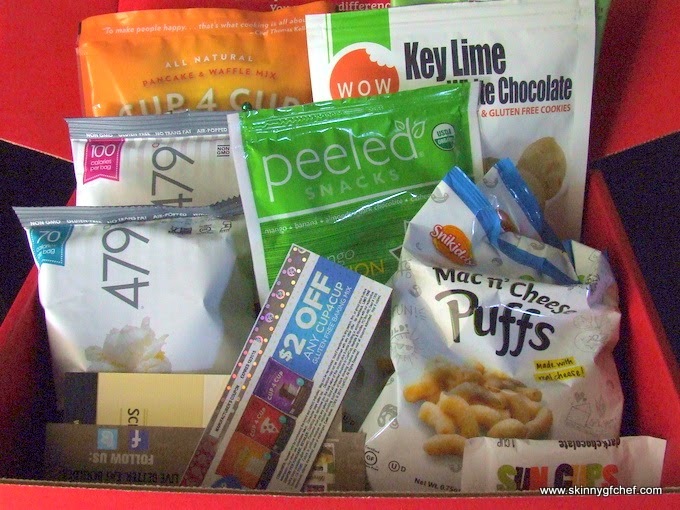 My box had 11 snacks, the flour and several coupons! 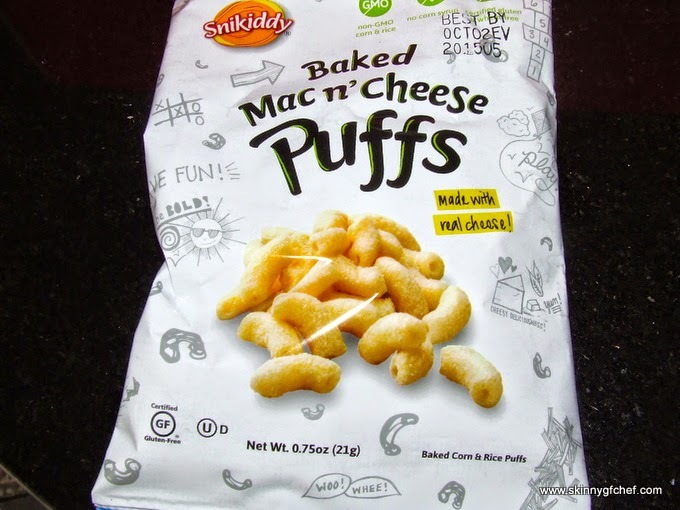 The Snikiddy Baked Mac n' Cheese Puffs were delicious. All natural made with non-GMO corn and real cheese. 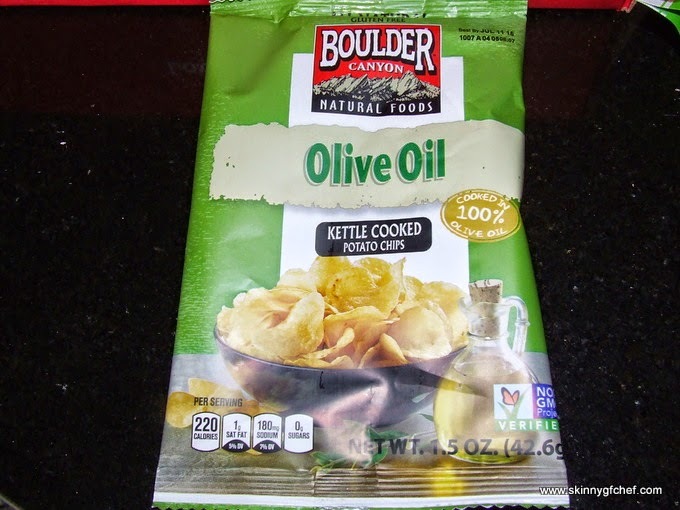 I've been a fan of Boulder Canyon products for many years. They make the best chips! 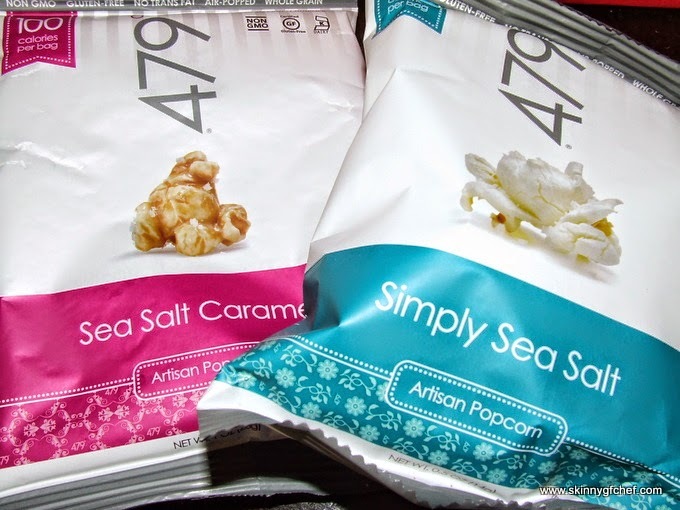 Oh my goodness, you need to try the 479 Degrees Sea Salt Caramel Corn. It's to die for. Made with organic heirloom non-GMO popcorn, organic agave nectar, coconut oil and more. It's amazing! 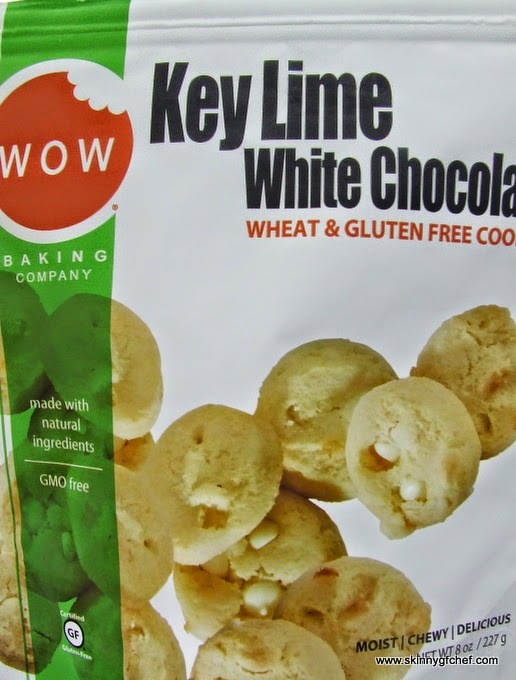 I am head over heals in love with the Wow Baking Company Key Lime White Chocolate Gluten Free Cookies that were in my box. They are soft, tangy and out of this world. 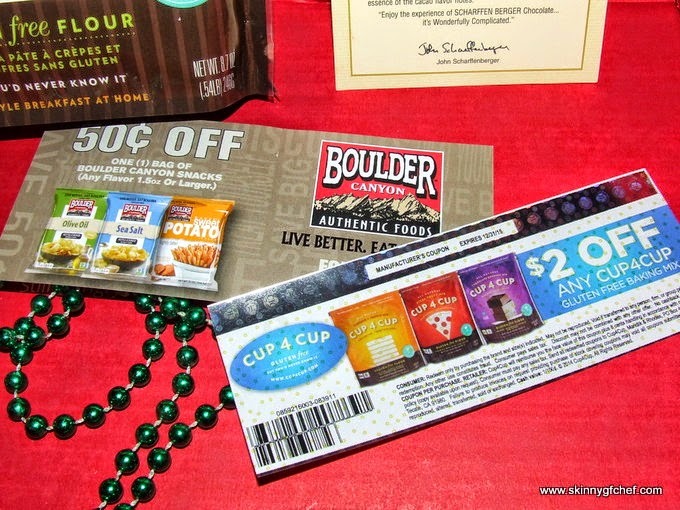 Love the coupons and beads! Ok, this blew me away. 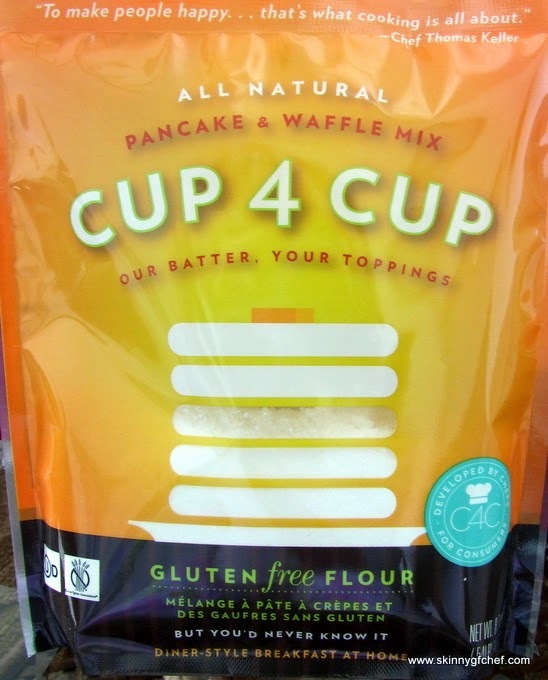 I've always wanted to try Cup 4 Cup gluten free flour mixes! I used this mix for my biscuit recipe below. They turned out so good! They give us chocolate too! 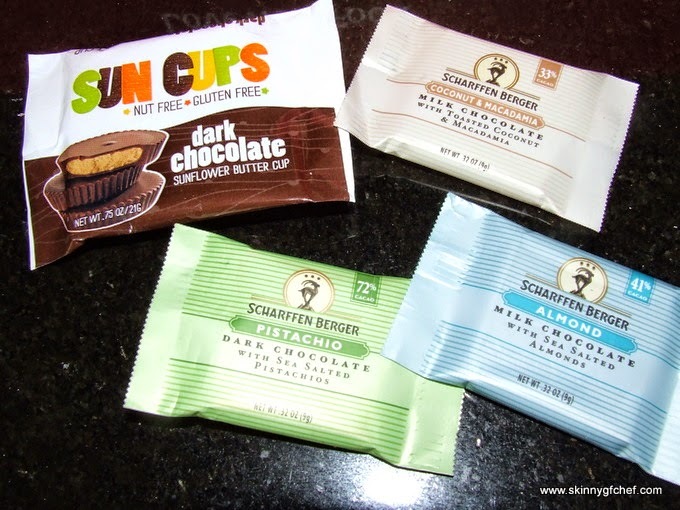 It's not easy to find healthy gluten free chocolate in my stores so I was thrilled to find these little treasures at the bottom of the box. The Coconut & Macadamia was my personal favorite. This was my favorite snack in the whole amazing box. 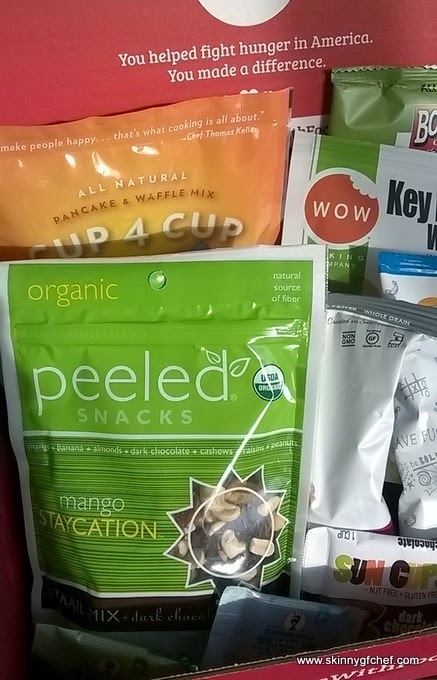 I carried this generous bag of organic peeled snacks Mango Staycation Trail Mix in the car with me for several days. It kept me from starving when I was running errands and after working out. Made with mango, banana, almonds, dark chocolate, cashews, raisins, and peanuts. It's really really good stuff. Well, there you have it. I'm so in love with Love with Food! They want you to know, "Every product in the box is Celiac-safe, we work with each company to ensure that they are! 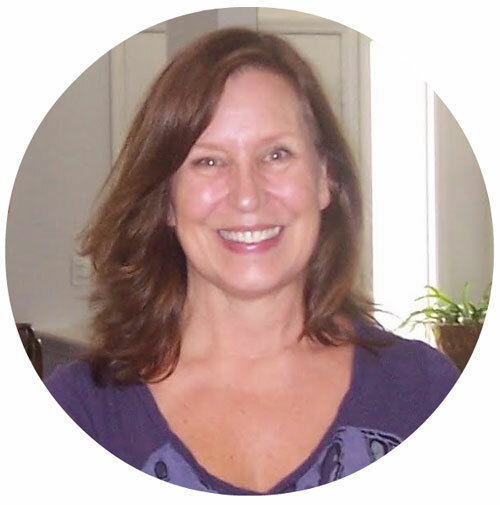 We donate 2 meals to a US food bank for every Gluten Free membership sold!" In a large bowl, stir together all of the ingredients until smooth and thick. Chill in the fridge for 10 minutes. Scoop balls with mini cookie scoop or drop by rounded teaspoon fulls onto prepared baking sheet. Bake for 10-15 minutes or until lightly brown on the bottom and done inside. TWO lucky winners will win one FREE Gluten Free Love with Food by G-Free Foodie Box. Snack Box will arrive in April. Open to US only. Enter daily! Good luck! Can't wait? Order now and save 50% off your first box! I was provided with product only for this post. All opinions and recipes are my own.